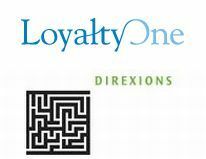 Canada-based consumer loyalty programme provider LoyaltyOne has acquired 26 per cent stake in Mumbai-based Direxions Marketing Solutions Pvt Ltd for an undisclosed amount. The Indian company offers direct marketing and loyalty programmes across the country. The Canadian firm has appointed Leena Basrur, non-executive chairman of Direxions, as president of LoyaltyOne India. The news comes close on the heels of Europe's Loyalty Program group reiterating its India focus through its iMint (Loyalty Solutions & Research Pvt Ltd) acquisition. Incidentally, iMint has been rebranded as Payback India earlier this month. "This venture into India aligns with our global expansion strategy of identifying geographies with significant market opportunities for loyalty initiatives," said Bryan Pearson, president of LoyaltyOne. "We look forward to working with Direxions to take loyalty marketing to new levels of success in India, one of the world's fastest growing consumer markets." Currently, Direxions operates three business units â€“ Direxions Marketing Solutions offering loyalty and relationship marketing solutions, a precision marketing consultancy called Cartesion Consulting and Red Box Rewards, which provides full-service rewards, point-based loyalty programmes and incentive programmes for businesses. Direxions offers loyalty programmes for airlines, hospitality and retail sectors, and has key clients like ICICI Bank, Levis, Colgate, Tata Photon, LG and Dominos. "By combining Direxions' experience, knowledge and talent pool in Indo-Asia with LoyaltyOne's deep expertise in coalition loyalty programmes, analytics and customer relationship marketing, we will be unparalleled leaders in this space," said Brian Almeida, managing director of Direxions. LoyaltyOne is a part of Alliance Data Systems Corp and offers a suite of loyalty marketing services such as consumer data, customer-centric retail strategies, direct-to-consumer marketing and loyalty consulting through Air Miles Reward Program, COLLOQUY, Precima, LoyaltyOne Consulting and Direct Antidote. In October, 2010, LoyaltyOne had acquired a stake in Brazil's Companhia Brasileira De Servicos De Marketing (Dotz). With coalition loyalty models gaining ground in India, LoyaltyOne plans to replicate its coalition programmes in the country. Direxions will focus on retail, financial services, travel and consumer packaged goods sectors for these reward programmes.